So what’s up with everyone? Is everyone having a good spring? 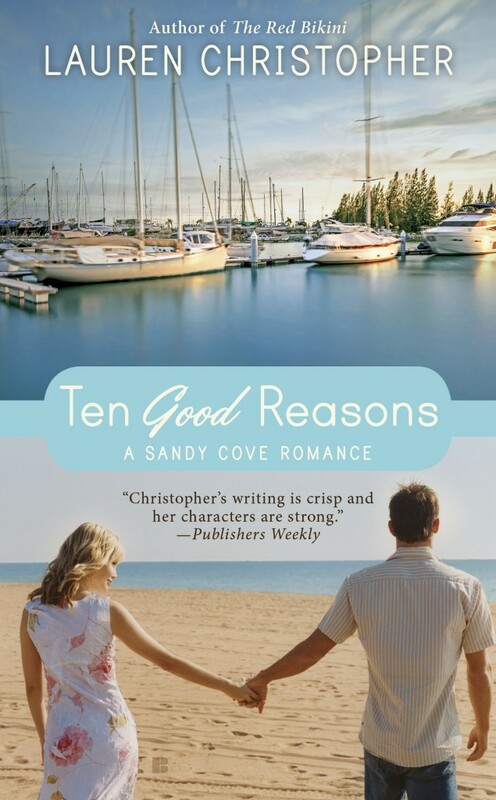 I’ve been pretty quiet since the release of Ten Good Reasons, but just busy! There was no rest for the weary in there, as my release date of Book 2 coincided with edits due for Book 3. Egads. So I was a little schizophrenic all of April I was finalizing and rewriting parts of Book 3 while trying to write guest posts for Book 2 and getting started on Book 4! My edits were due in early May, and right after that I had to throw a bunch of stuff together to get ready for a road trip the second week of May. We packed up the car and headed to Montana for my oldest child’s graduation! Yeehaw! It was a beautiful trip, and we also got to bring my second child home for summer, and we really had a great time. But then when I got home, I started to crash, and next thing I knew, I had the flu! I think I’m on the road to recovery now, and ready to get back to writing. How is everyone else’s spring going? Can you believe it’s already June? Welcome back to Writer Wednesdays. 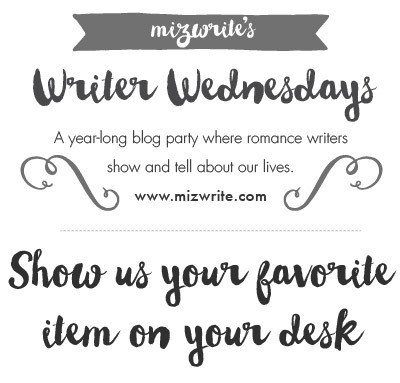 I’ve begun a romance-writer blog party where, once a month, my writer friends and I will all be blogging on the same topic on the same day — we’ll be talking about things all romance writers love to talk about: reading, writing, and romantic things. 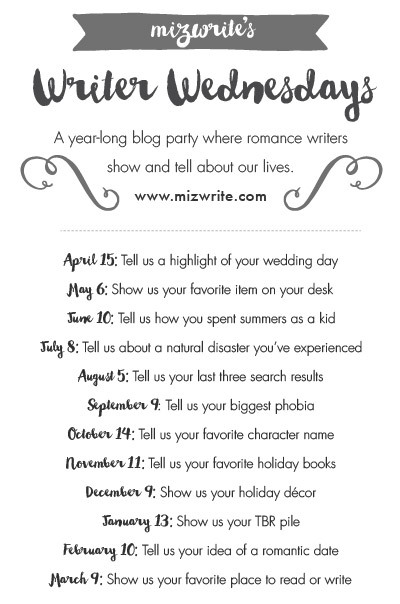 Our first one was about our wedding day highlights. And this one is about a favorite item on our desk. I can’t even show you the right side because it’s just toooo messy over there! I just turned in my Book 3 edits on Monday, so things look a little messier than usual. I have my Thesaurus still out and open there above my keyboard. (Probably because I had to look for words to use instead of “nodded,” which I used an embarrassing 127 times in the manuscript.) I have my to-go cup from Wahoo’s there on my right, which is where we went to eat tonight. 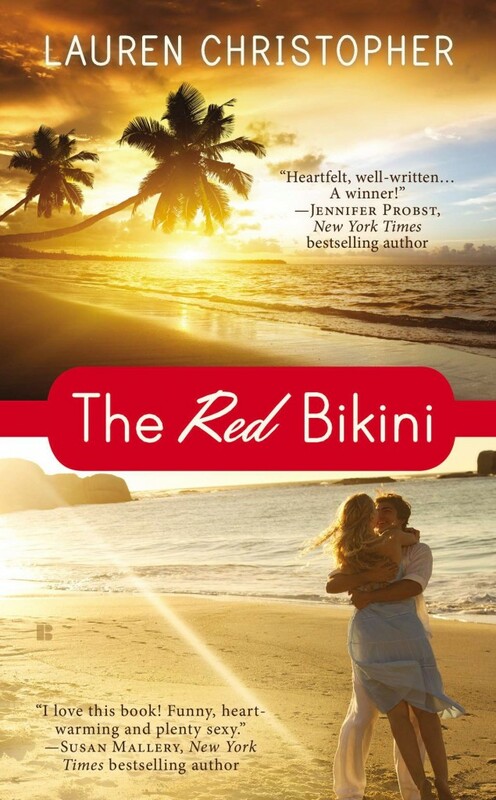 (It also happens to be the fish-taco place Fin takes Giselle to in THE RED BIKINI, wouldn’t you know?) My mail is kind of overflowing and crazy there in the top right. My Galileo thermometer says 72 degrees, with the 68-degree bulb rising, if you’re wondering how warm it is at 6 p.m. on May 5, 2015. And on the left I still have my flyer that the library made me for my visit last Saturday. Yep, it’s the cute little sea lion! He’s sitting on top of my notes for Book 3. He’s there for inspiration for Book 3, because it’s about a scientist who works at a sea lion rescue place on an island off the coast of California. My little sea lion has been sitting there for a year — ever since the day my husband, my teenage daughter and I went to this place in Laguna to research sea lion rescues almost exactly a year ago (weird!). My sweet hubby bought me this little sea lion toy as inspiration. (He bought my daughter one, too. They both went toward donations to the center.) 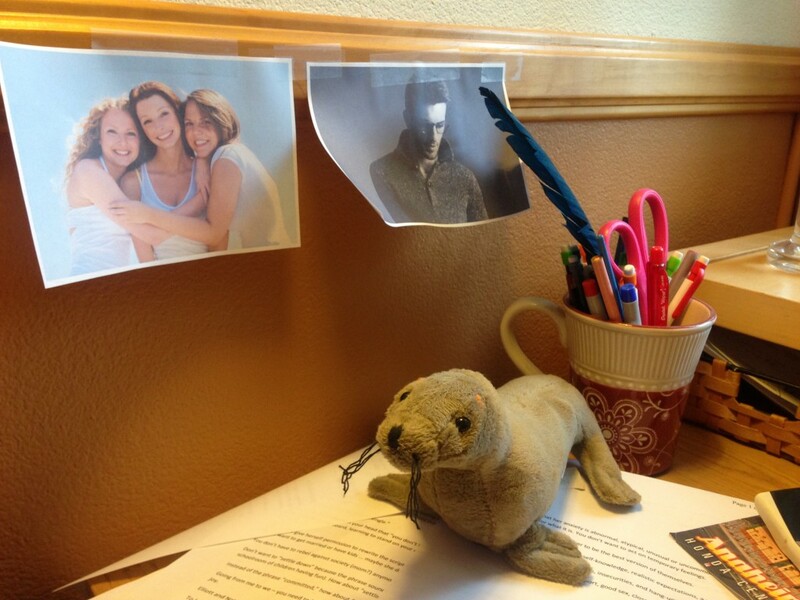 My sea lion’s name is Moe, which you’ll understand more when you read Book 3! 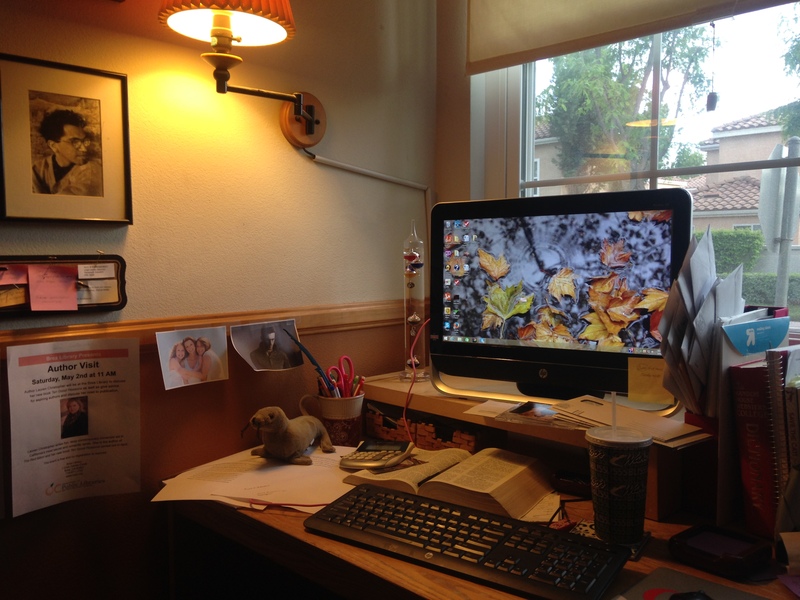 I find it so helpful to have inspirational pictures hanging when I’m writing. In fact, I’ll try to take pictures of my desk for each book so you can see all the stuff I put around while I’m needing inspiration. So that’s my favorite item on my desk right now! Do you have a work desk? Do you have inspirational items on it? Do share! I love to see/hear what people surround themselves with. 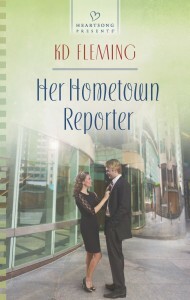 The reporter is looking for a story that’ll be his ticket out of his small Georgia town. With her political connections, legal assistant Gina Lawson could help Toby realize his aspirations. 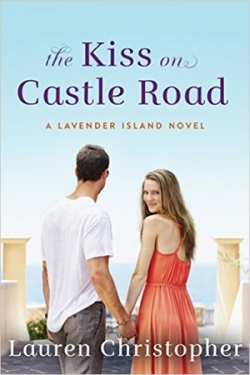 Their friendship is just an added bonus, but falling in love isn’t part of his five-year plan. 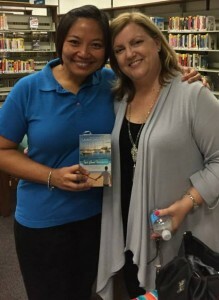 Gina’s devoted to her family and community, and doesn’t plan to ever leave. 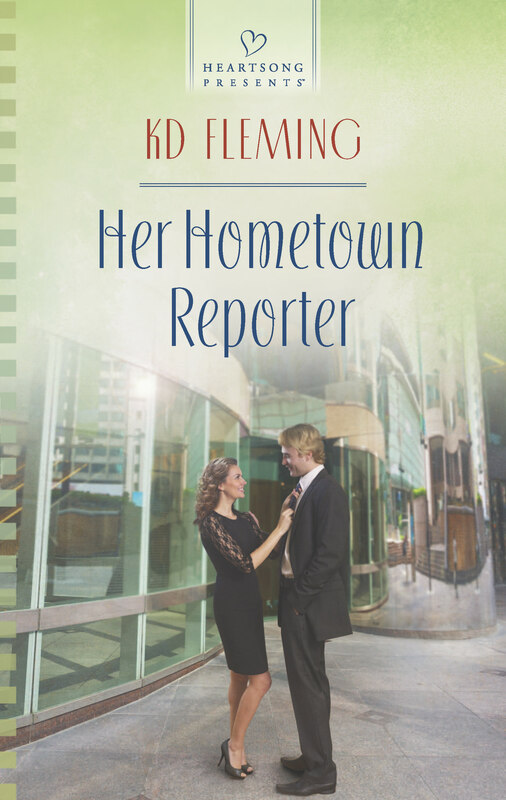 Though she finds her favorite reporter maddeningly irresistible, she must guard her heart. 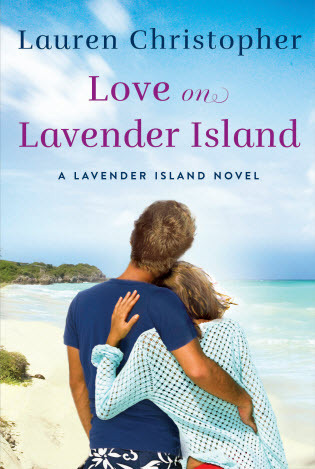 But when a betrayal of trust threatens to shatter both their dreams, will Gina and Toby learn that they share the same values after all? Had such a great library event on Saturday! 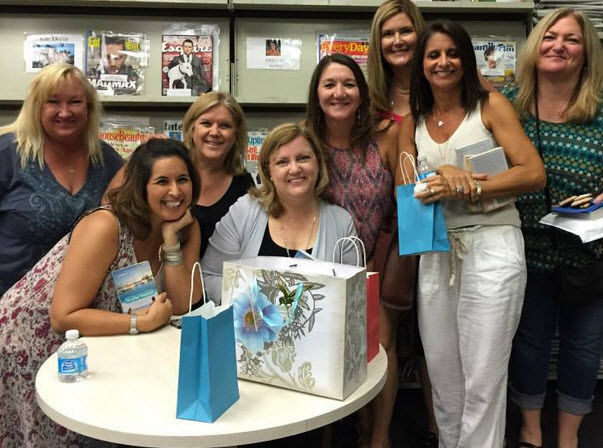 I talked about my my Oprah moment that started me on my romance-writing journey and my road to publication, offered some tips I learned along the way, shared my “bag of writing secrets,” and answered questions. My mom brought cookies for everyone, and my SIL Denise brought raffle tickets (we did two raffles, one for The Red Bikini, and one for Ten Good Reasons). 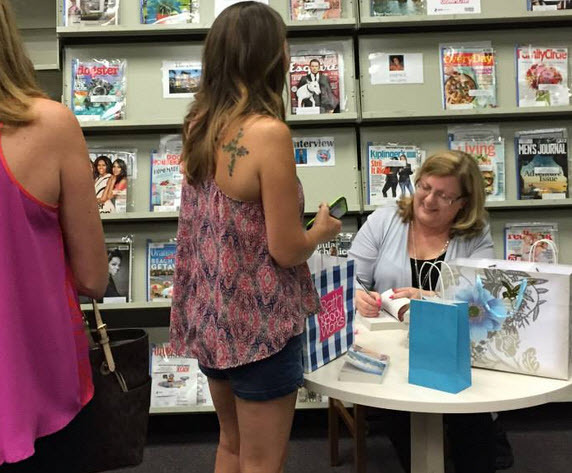 Denise also brought a cash box and helped me sell a bunch of books! 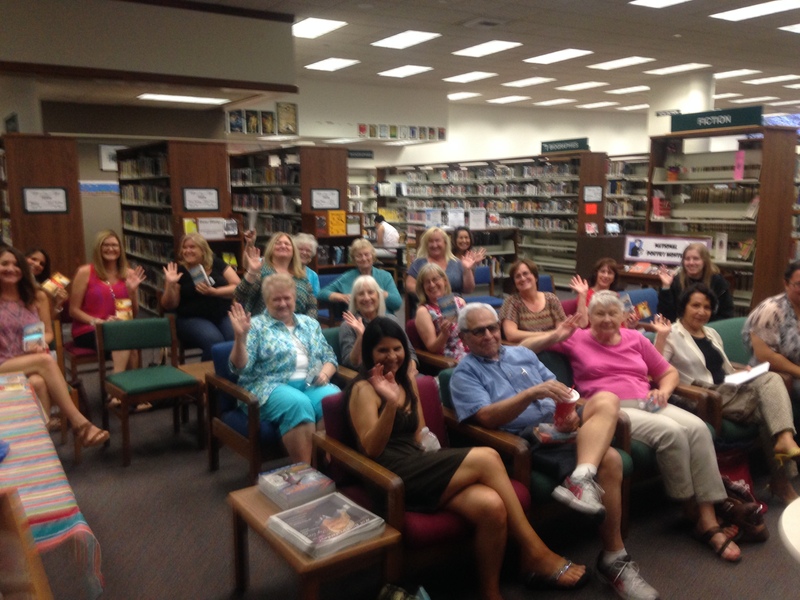 Then I signed books and said hello to a lot of friends who came to support me. It was so fun.